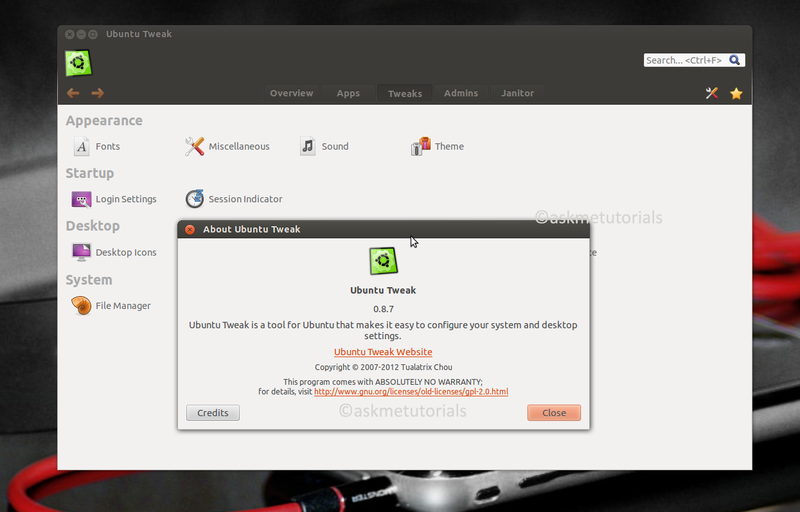 In this Tutorial i will show you how to install Ubuntu tweak tool 0.8.7 on Ubuntu 14.04 LTS/ 13.10 / 12.04 LTS & Linuxmint 16 / 15 / 14. Ubuntu Tweak is a free software used for configuring Ubuntu. It Provides some additional options rather than normal desktop environment providing.Ubuntu Tweak tool will work only with Ubuntu GNOME desktop.